Weddings By Karen now carries gently used dresses of all kinds for your special day or event. We have wedding dresses, flower girl dresses, pageant dresses and party dresses in all sizes and colors. Stop by to see our beautiful selections! We want you to look beautiful on your wedding day, so the perfect wedding dress is a priority. We have gently used wedding dresses in many styles, sizes and prices. Come see us and let Weddings By Karen be a part of your special day. Look no further for that special event dress! We have gently used dresses for any occasion. Why pay those expensive prices when you can get a top quality, beautiful dress for a fraction of the cost. 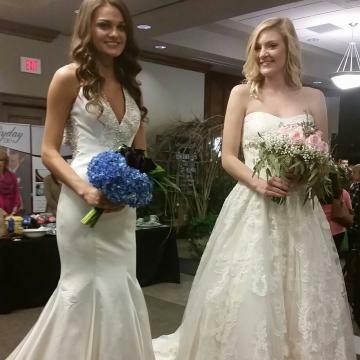 We would love to show you our dresses, so stop by and see us today!